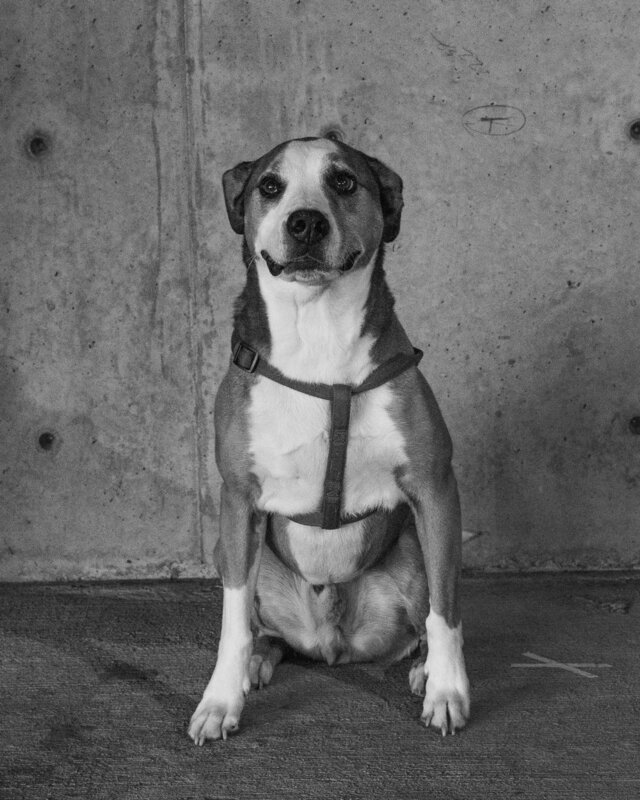 With a Master of Architecture degree at University of Washington, for which he attended nearly every class and sat for all the exams (or laid down), Agassi excels at relating to humans and has a strong pedigree for a design firm dog. His tricks include waving, double high fiving, bowing, jiggling, turning around, and turning the other way, to name a few. Agassi has a knack for lifting spirits – in the mornings he runs a ceremonial “Good Morning” lap around the office before settling into his round of treat collections at the law and physical therapy offices. Once complete and before the next round of treat collections, he can be found lounging on one of the many dog beds which his K9 coworkers kindly share from time to time.